Faeze Memarbashi came to Quebec from Iran in 2012. About 50 people sat outside of the Ministry of Immigration, Diversity and Inclusion—the department responsible for the controversial secularism bill. 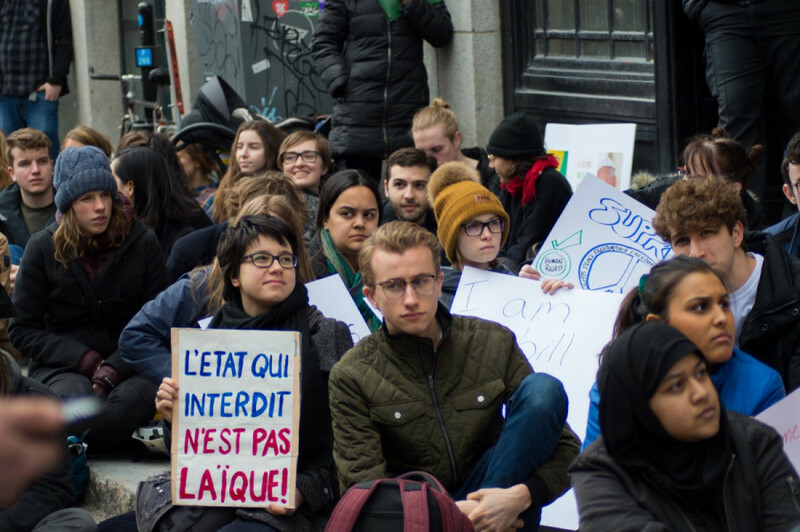 Located on Notre-Dame St. W., the protest was held outside of the office of Minister of Immigration, Diversity and Inclusiveness Simon Jolin-Barrette. 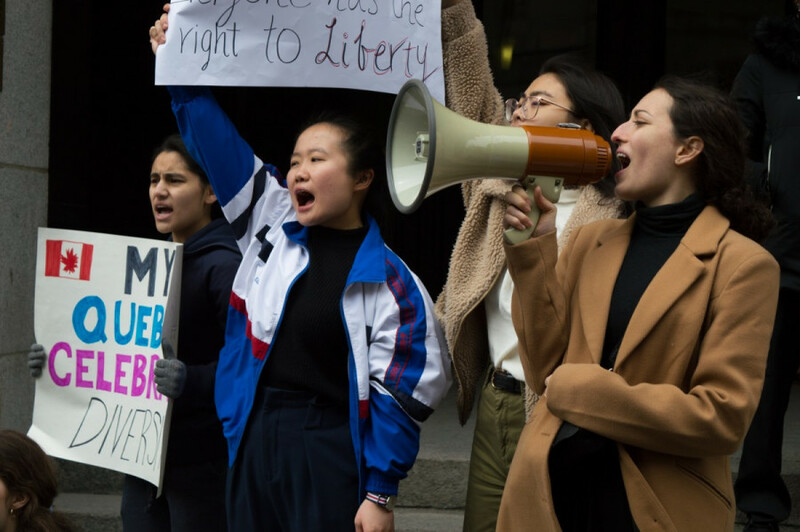 Kareem Hammami, an organizer from McGill University, said that they are sending Jolin-Barrette the message that he does not control their future. He said that secularism is meant to be the separation of church and state, but that the government would instead be imposing atheism and forcing people to abandon their religion. Bill 21, tabled by Jolin-Barrette, would prohibit workers in the public sector like police, judges, and teachers, from wearing religious symbols at work. The government hopes to pass the bill by June 15. 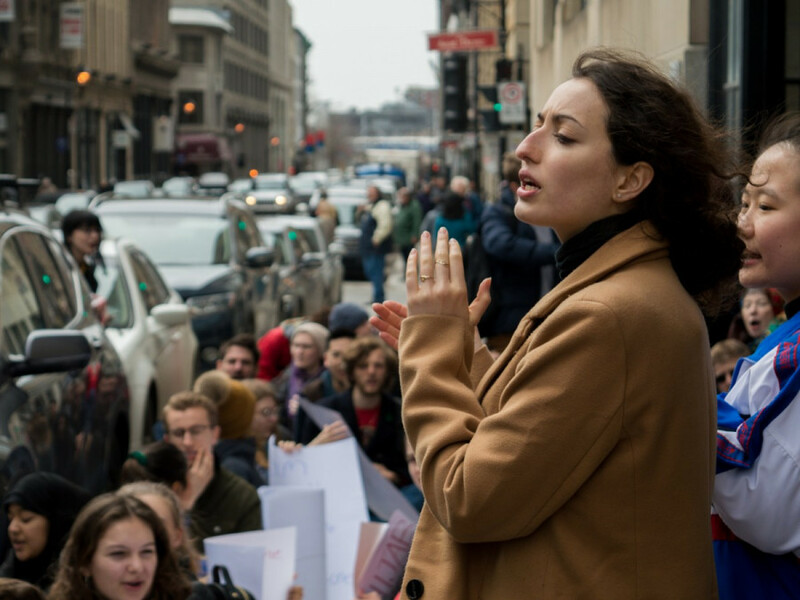 Marianna Mason, an organizer of the protest and Dawson student, told the crowd that the government should judge workers based on competence rather than what they choose to wear. “There are other jobs available,” Legault said last week. Damian Kube, a first-year Dawson student, said his kippah makes him think twice about studying law at McGill. “If I wanted to become state attorney, or judge, I would be prevented from doing so,” he said. The bill would dash his dreams of helping people through the judicial system, he added. “Our main objective is to advocate for human rights and freedom of expression,” she continued. She thinks inclusivity and multiculturalism is an important aspect of Quebec’s identity, particularly in Montreal.